Autodesk has recognised ÆSIR International Ltd. as an official Authorized Certification Center (ACC). This accreditation testifies to ÆSIR's already widely accepted professional training levels. ÆSIR offers courses in basic AutoCAD as well as more advanced classes for 3D modeling, electrical, mechanical and architectural streams. 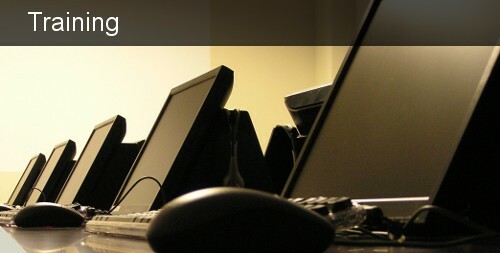 Courses can be given either in larger group classroom environments or in more specialised one-on-one training sessions. Autodesk has recently introduced certification testing on many of its platforms listed below. You can have yourself assessed as a Certified User or Certified Professional on the software you have been trained to use in your daily tasks. Products for which certifications are already in place are AutoCAD, AutoCAD Architecture (formerly ADT), Civil 3D, 3ds Max Design, Inventor and Revit Architecture. See the Autodesk website for additional details. Everyone's training needs are different. That's why ÆSIR specialised in one-on-one or small group training sessions. Most courses are customised to meet the specific needs of our clients. Classed may be given at the ÆSIR offices, at the client's site, or may be arranged at a convenient nearby location. Contact us to determine the parameters of your ideal training scenario. Courses are grouped by product as listed below. Click on the product title for course listings and descriptions. AutoCAD Level I: Upon completion of this course, the student will be able to create a basic 2D drawing using drawing and editing tools, organize drawing objects on layers, add text and basic dimensions, and prepare to plot. For maximum flexibility, the course is divided into two parts, the first presenting essential skills, the second covering more sophisticated techniques for drawing setup and productivity. The two parts combined fulfill the requirements for Autodesk Level 1. AutoCAD Level 2: For Students comfortable with the basics of creating an AutoCAD drawing as taught in AutoCAD Level 1, this course focuses on: using efficiency tools including grips and advanced object selection; drawing with complex objects including polylines, regions and multilines; defining blocks and attributes; using external reference files and image files; using layouts and advanced plotting features; enhancing productivity with simple customization of AutoCAD; and introduction to AutoCAD's 3D features. Introduction to AutoCAD LT: The goal of this course is to make the student familiar with the basic concepts and techniques of 2D drawing in AutoCAD LT. We do not attempt to present every drawing command or editing command. However, enough key tools are covered so that the student will gain a solid grasp of how the program works and be able to create a basic 2D drawing. AutoCAD LT Level 1: Based upon Level 1 for AutoCAD, this course follows the same objectives: to enable students to use basic drawing and editing tool, organize drawing objects on layers, add text and basic dimensioning and prepare to plot the drawing. Our goal is to enable the student to create a basic 2D drawing in LT.
AutoCAD 3D Drawing and Modeling: This Student Guide introduces users who are proficient with AutoCAD's 2D commands to the concepts and methods of 3D modeling. The course gives a thorough grounding in 3D fundamentals and explores the main features of AutoCAD's advanced 3D workspace. This class covers such topics as 3D viewing techniques, Working with 3D coordinates, 2D objects in 3D space, Creating and modifying 3D solids, and Rendering the model. AutoCAD Customization: Students learn how to turn the generic AutoCAD program into a customized package that will maximize the productivity of a specific organization. Topics include customizing for productivity, toolbars and macros, menu customization, DIESEL string expression language, customization and AutoLISP. Meets Autodesk Level III curriculum standards. AutoCAD Plotting and Layouts: This course is designed as a one-day survey of plotting in AutoCAD. It would be an especially appropriate class for Release 14 users who are upgrading and need to master the many new features related to plotting. It would also be appropriate for any users who need a better understanding of plotting concepts and techniques in AutoCAD. The course is structured to begin with basic topics and proceed through more advanced or specialized features. AutoCAD Update: This class will ensure a smooth transition for experienced AutoCAD users to more recent AutoCAD releases. At the end of class, students will be able to immediately increase productivity by taking advantage of interface improvements, new drafting tools, annotation options, and Internet features. This course is offered in a variety of release increments. Architectural Desktop (ADT) Level 1 Design and Documentation: This course will enable students to create basic floor plans, including walls, doors, and windows; use Design Content to add furniture, fixtures, and equipment; create specialty objects like column & ceiling grids, stairs, and roofs; generate elevations and sections; add marks, dimensions, tags, and schedules; understand the 3D capabilities of Architectural Desktop. Architectural Desktop (ADT) Level 2 Conceptual Design and Advanced Features: Upon completion of the class, the student will be able to create conceptual massing studies using mass elements and mass groups; design buildings using spaces; Create multi-view blocks, masking blocks and customized design content; Use wall tools, structural members, layout tools and anchors; create wall, window and door styles. Architectural Desktop (ADT) Curtain Wall and Window Assembly Styles Supplement: Curtain Walls and Window Assemblies are among the most complex style definitions in ADT. This module steps students through the process of creating a basic curtain wall style. It then shows how to achieve more complex effects by converting linework, adding overrides, and creating window assemblies. Recommended for advanced (Level 2) users who have some familiarity with creating styles for ADT objects. Mechanical Desktop (MDT) Level 1: This course introduces students to the concepts, commands, and techniques of Autodesk Mechanical Desktop. Upon completion of the course, the student will be able to construct "intelligent" 3D parametric parts, to arrange parts in assemblies, and to create a 2D drawing from the 3D model. Profiles and Constraints, Creating a 3D Part, Part Modeling Techniques, Working with Features, Advanced Part Modeling, Introduction to Assemblies, Creating Part Drawings, Working with Drawings. Mechanical Desktop (MDT) Level 2: Designed to follow Mechanical Desktop Level 1, this class covers assemblies in greater depth, as well as more sophisticated part modeling techniques such as lofting, 3D paths, and design variables. The main topics covered include: advanced profile and part techniques; sculpting tools for advanced part creation; design variables; working with assemblies; advanced drawing views and dimensioning techniques; creating and modifying scenes; and bills of materials. Inventor Level 1: Autodesk Inventor Level 1 introduces the concepts and techniques of 3D modeling with Autodesk Inventor. Upon completion of the course, the student will be able to construct "intelligent" 3D parametric parts, to arrange parts in assemblies, and to create a 2D drawing from the 3D model. Inventor Level 2: In Level 2, we present many of Inventor's most powerful techniques for assembly modeling, such as the use of linked parameters to relate dimensions between components, and the creation of iParts to define multiple versions of a part. Other advanced features in Level 2 are aimed at increased efficiency. With an understanding of these tools, students can begin to streamline the design process and shape Inventor to their own uses. Inventor Sheet Metal Supplement: Designing sheet metal parts involves a different process and different tools than designing other parts in Inventor. This module introduces students to all of Inventor's sheet metal features, from creating simple faces and flanges to defining bend tables and sheet metal styles. It can be used as a supplement to either the Level 1 or Level 2 Inventor courses. Revit Fundamentals: Revit software is a powerful Building Information Modeling (BIM) program that works the way architects think. The program streamlines the design process through the use of a central 3D model, where changes made in one view update across all views and on the printable sheets. This course is designed to teach you Revit functionality as you would work with it throughout the design process. This training guide focuses on basic tools that the majority of users need. *AutoCAD, AutoCAD Architectural, AutoCAD Mechanical, Inventor and Revit are all trademarks of Autodesk Inc.